There's an awful lot of text data available today, and enormous amounts of it are being created on a daily basis, ranging from structured to semi-structured to fully unstructured. What can we do with it? Well, quite a bit, actually; it depends on what your objectives are, but there are 2 intricately related yet differentiated umbrellas of tasks which can be exploited in order to leverage the availability of all of this data. Text Mining or Natural Language Processing? 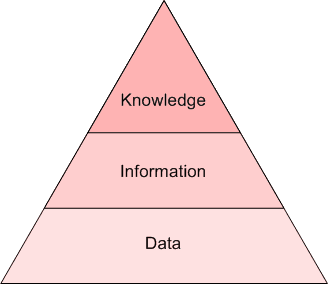 The Pyramid of Understanding: data, information, knowledge. 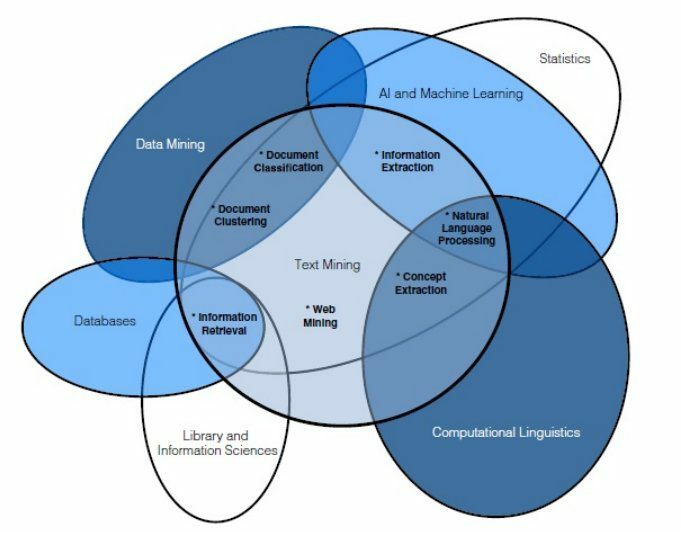 Another way to approach the difference between these 2 concepts is by visualization via the Venn diagram below, which also takes other related concepts into account in order to demonstrate the relationships and significant overlaps between a number of closely-related fields and disciplines. Source: Practical Text Mining and Statistical Analysis for Non-structured Text Data Applications. I am not totally sold on this diagram -- it conflates processes with tools -- but it does serve its limited purpose. Various other explanations as to the precise relationship between text mining and NLP exist, and you are free to find something that works better for you. We aren't really as concerned with the exact definitions -- absolute or relative -- as much as we are with the intuitive recognition that the concepts are related with some overlap, yet still distinct. The point we will move forward with: although NLP and text mining are not the same thing, they are closely related, deal with the same raw data type, and have some crossover in their uses. Importantly, much of the preprocessing of data for the tasks falling under these 2 umbrellas is identical. Why else is text difficult? Can we craft a sufficiently general framework for approaching textual data science tasks? It turns out that processing text is very similar to other non-text processing tasks, and so we can look to the KDD Process for inspiration. We can say that these are the main steps of a generic text-based task, one which falls under text mining or NLP. Did the model perform as expected? A simple textual data task framework. These steps aren't exactly linear, but visualized as such for convenience. 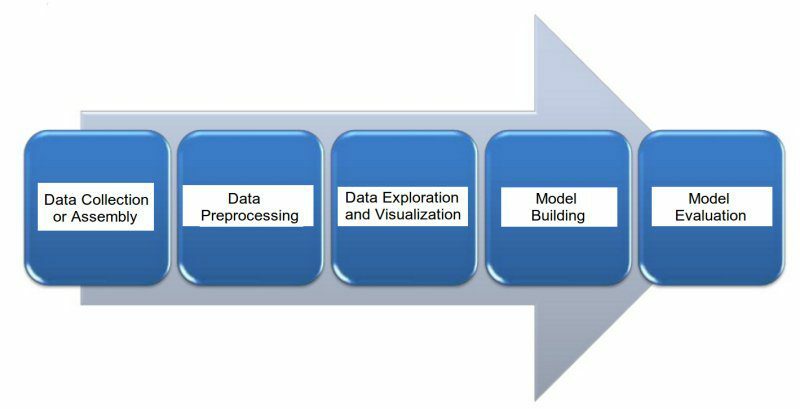 Join me next time we will define and further explore a data preprocessing framework for textual data tasks.